Use this extra lens with our Aluminum Profile C. Available in either clear or frosted [make your selection under options by the "Add-to-Cart button]. Made out of premium polycarbonate, our lenses are durable and offer optimal light transmission and optical properties with your LED strips. 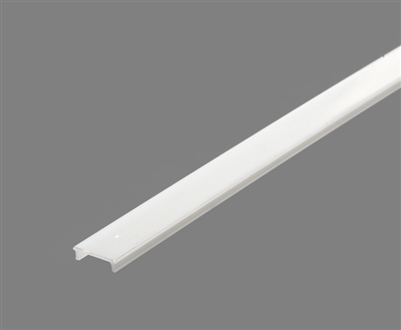 Easily snaps into aluminum extrusion, housing, profile C for LED Strip. Easily field-cuttable using miter-saw or hefty wire-cutter.